The blockchain technique was first proposed called Bitcoin in 2008 and is a distributed database technology. Public Key Infrastructure (PKI) system, which is one of the key management systems, is a centralized system. There is a possibility of single point failure in currently used centralized PKI system. Classical digital signature algorithm; ECDSA has used the well-known cryptocurrencies such as Bitcoin and Ethereum. Using the Shor’s algorithm, it is vulnerable to an attack by the quantum adversary. 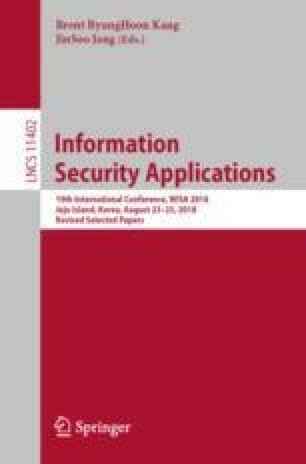 In this paper, we propose a blockchain-based key management system using quantum-resistant cryptography. Since it uses a GLP digital signature scheme, which is a secure lattice-based digital signature scheme. Therefore, our construction is based on quantum-resistant cryptography, it is secure against the attack of a quantum adversary and ensures long-term safety. In addition, we design a decentralized blockchain structure with extended X.509 certificate, and it is secure for the single point of failure. This work was supported by Institute for Information & communications Technology Promotion (IITP) grant funded by the Korea government (MSIT) (No. 2017-0-00555, Towards Provable-secure Multi-party Authenticated Key Exchange Protocol based on Lattices in a Quantum World).